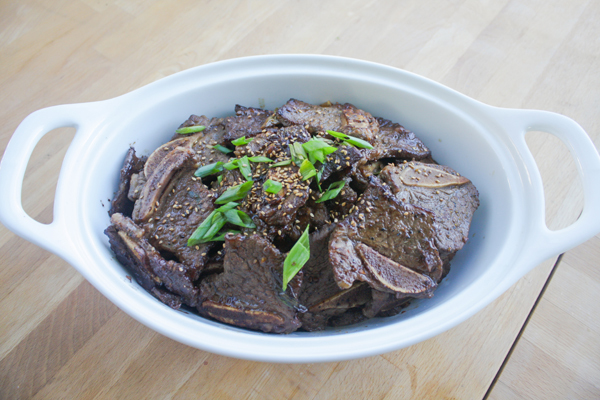 I'm going to make a bold statement and say that Korean recipes are pretty killer when it comes to marinading meat. The right salty/sweet combo and ingredients like garlic - lots of it, duh - that tenderize the protein into perfection. This dish, with many others that I link to below, was featured in my promo video that I just released on Wednesday. I'm pretty sure re-watching the video multiple times for editing gave me the same face as Homer Simpson looking at donuts. I get it buddy. I do. 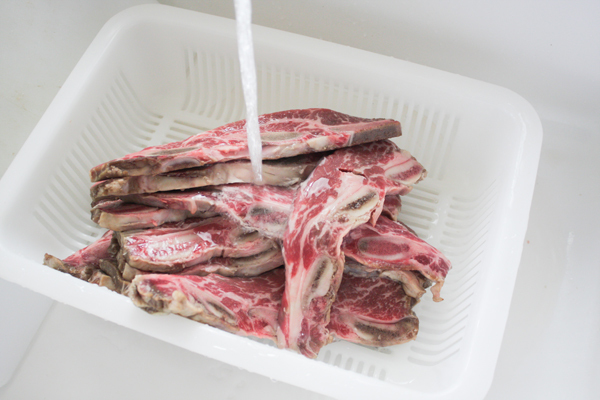 Rinse the kalbi to clean off any bone fragments. Pat dry with paper towels. Cut with one bone per piece. Put into a large ziploc bag. Whisk the soy sauce, rice wine vinegar, sesame seed oil, brown sugar, black pepper and sesame seeds together. Pour over the ribs in the plastic bag. 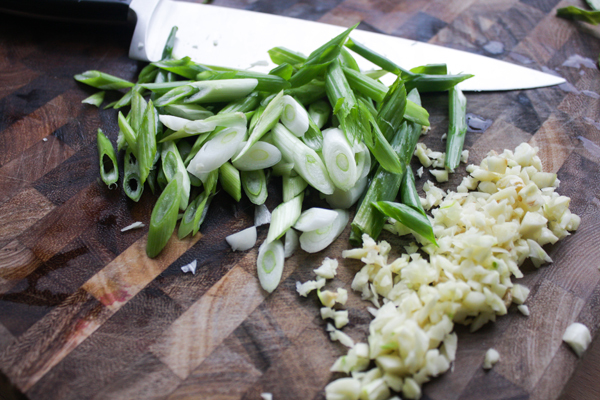 Cut the roots off of the ends of the green onions, then rough chop the whole stalk into ¼“ pieces. Roughly mince the garlic cloves. Put both into the plastic bag with ribs and marinade. Tightly seal the bag with no air in it, then mix around the ribs from the outside of the bag to spread the marinade over each piece. Refrigerate at least two hours or overnight. 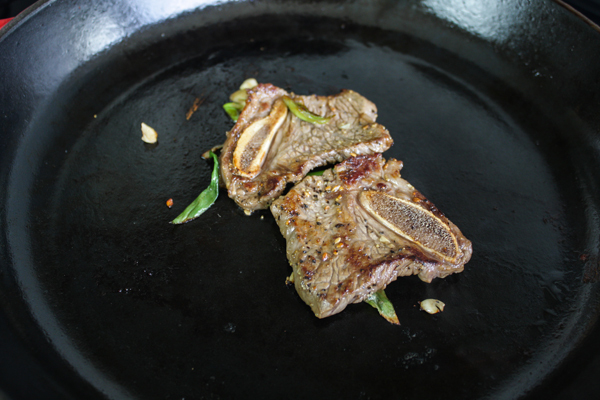 Shake off the marinade and cook in a pan about 3-5 minutes on each side. Serve warm and top with green onions and sesame seeds to garnish. 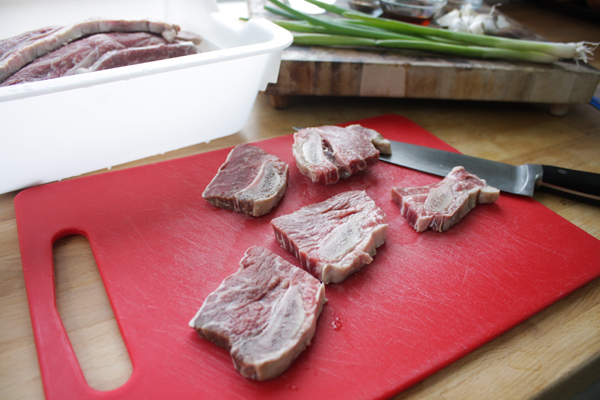 Cook a piece of the ribs before refrigerating to make sure that the marinade is how you want it. Keep in mind that it will become a little saltier and flavorful after marinating.